Over the summer we’ve been playing Cubicle 7’s fantastic RPG, The One Ring. We have completed 6 sessions to date and have been playing through the published adventures, with some slight tweaks. The One Ring begins 5 years after the Battle of the Five Armies, 2946 in the Third Age and hence just after the end of the Hobbit. It is a time of relative peace and cooperation for the free peoples, before the Shadow returns and the Nazgul come to Mirkwood. Many of us had played MERP back in the day and knew the Tolkien novels and the setting well so despite a lot of enthusiasm for the new game, there was also some concern as to how it would compare to prior games. Think fair to say we’ve enjoyed it tremendously. We’ve played the adventure from the core set, ‘The Marsh Bell’, the opening adventure from the adventure book, Tales from the Wilderland (TfW) ‘Don’t Leave the Path’, the Gencon 2011 launch adventure ‘Words from the Wise’, and the second adventure from TfW, ‘Of Leaves and Stewed Hobbits’. TfW was written by Gareth Ryder-Hanrahan and is brilliant. 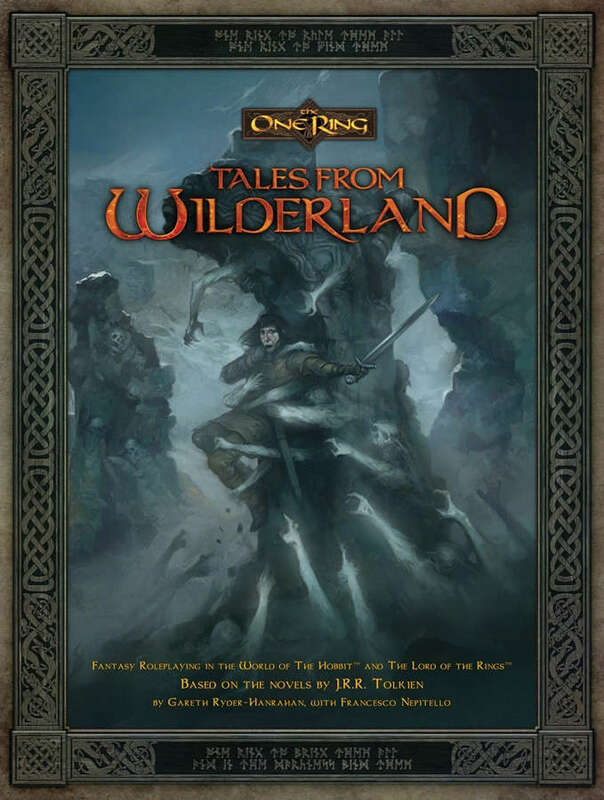 For those of you who don’t know his work, I really recommend his writing for this and other games – the adventures are uniformly excellent, challenging, fun, and don’t require too much prep. The final 4 of the 7 make a mini-campaign revealing a threat to the Wilderland. We are breaking this week as people are away on holiday but 23rd August will find us starting ‘Kinstrife and Dark Tidings’. These were all created using this excellent Character generator – best to use in browsers other than Internet Explorer. Highlights for me as GM came from some excellent roleplaying by the players at the end of ‘Don’t Leave the Path’ when the players get entranced by a creature of shadow and fall to their desires, and at the end of the ‘Words of the Wise’, due to spectacular bad rolling by the players of 12 Eye of Sauron runes, when defending Woodman Hall against some Orcs, we had two players down, the archers having to engage in melee and a TPK looking a distinct possibility. But as we know, where the light is darkest, there the saving power grows. The boxed set itself comes with two beautifully illustrated books, one for players and the other for the Loremaster, two maps, and customised dice (the d12 has both a Gandalf rune and the Eye of Sauron on and have mechanical effects). Next releases for the game include a product that combines a Loremaster Screen + sourcebook for Laketown, with subsequent releases detailing Rivendell, and a campaign called ‘The Darkening of Mirkwood’.